GRC-XML Risk and Control Taxonomy Version 1.0 GRC-XML is a family of languages for Governance, Risk, and Compliance information sharing, integration, and communication. It is based on XBRL and XBRL Global Ledger Framework (XBRL GL). GRC-XML is a family of languages for Governance, Risk, and Compliance information sharing, integration, and communication. It is based on XBRL and XBRL Global Ledger Framework (XBRL GL). We look forward to your feedback, comments, and input. You are also welcome to contribute your list of features for GRC-XML as a common language. 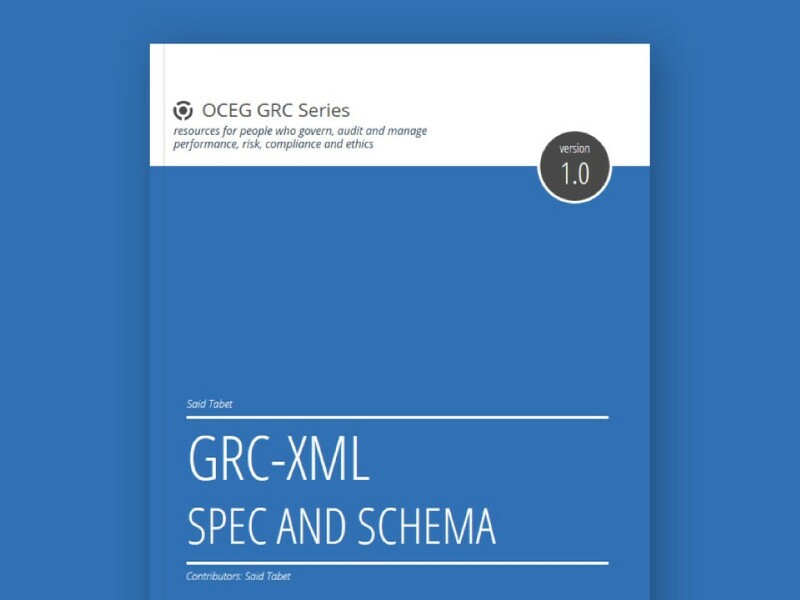 We have emailed instructions to access GRC-XML Spec and Schema to . Make sure the email arrives in your inbox: either add "support@oceg.org" as a safe sender to your email platform, or if you use Gmail, drag our email into your Primary tab.